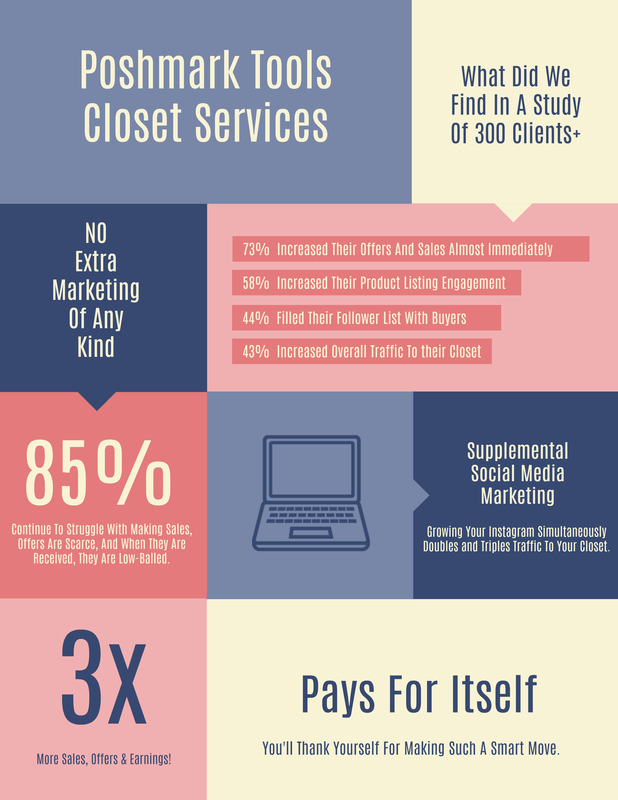 We are now offering MONTHLY closet & social media marketing services. We will be your Closet Manager for 30 days. 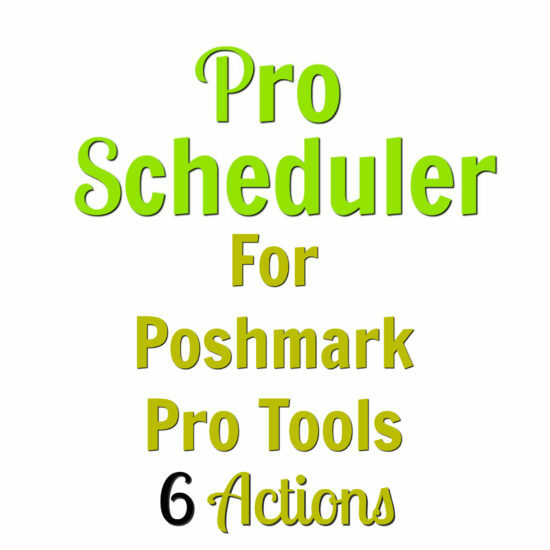 We will grow your Poshmark account for you, using our special leads software, we will fill your closet with hungry buyers. Our experts are always here to help you and guide you. We will guide you in the right direction to making more sales. We are also here to answer any technical questions you may have. Support and coaching comes with the monthly package. 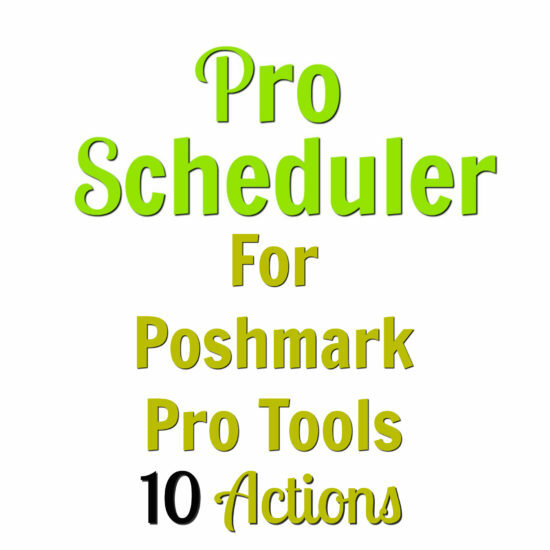 We may give you advice and tell you to make adjustments to help you increase the traffic to your Poshmark closet. We will turn your Instagram into a BEAUTIFUL replica of your Poshmark closet. 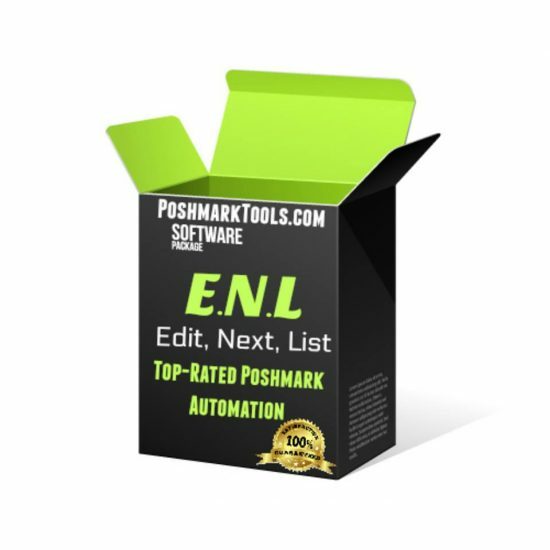 The results are a stunning and eye catching Instagram store, filled with ALL of your Poshmark listings! Complete with descriptions and pictures! 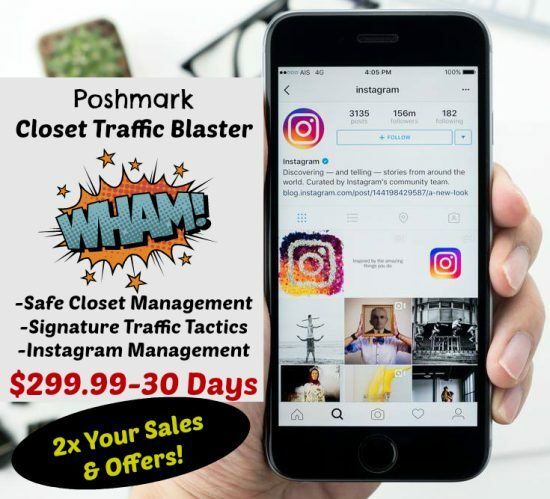 We will drive traffic to your Poshmark closet via Instagram marketing. 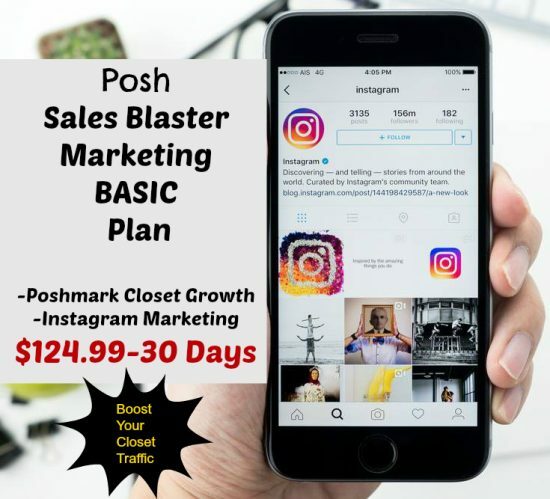 We will grow your Instagram account, make DM campaigns (Direct Message) that get results and attract people to see the rest of your listings.